We are very appreciative of our corporate and foundation sponsors, who help WSA achieve its mission of advocacy, training and collaboration. Discount School Supply® is proud to partner with the National Head Start Association in supporting services that strengthen children and their families. We are pleased to offer resources specifically tailored to your Head Start classroom needs. On our website and in our catalog, you’ll find products matched to the areas outlined in the Head Start Child Development and Learning Framework. CCR Analytics specializes in providing high-quality analysis to the early education sector. We strive to help early education agencies gain the most insight from their child, family and classroom assessment data. Visit our booth during the 2013 Washington ECEAP/HS/EHS Director's Meeting. CCR Analytics – we analyze the data. You get the results. SimplyFun is a young company with a big heart and even bigger dreams to make this world a better place through play. Our team of Playologists take pride in finding the perfect game that fits your family, classroom or occupational needs. And becoming a Playologist at SimplyFun means you can earn a significant income while making PLAY your life's work! As a Playologist you can personally contribute to the success of children and families everywhere, making a difference that will last a lifetime! Since 1949, Grand Canyon University has been a premier private university in Arizona, helping students find their purpose and achieve their potential. GCU's quality academic programs, offered through six colleges, provide the essential knowledge and skills needed to be effective in today's complex business world by offering both online and campus based degree programs. We are also excited about our partnership with GCU. HS/EHS/ECEAP members can received discounts. Click here for more information. Teaching Strategies is a dynamic educational publishing company. We serve the early childhood community exclusively, bringing curriculum, assessment, professional development, and family connection resources to programs serving children from birth to age 6. We are pleased to be considered the leading provider of high-quality early education resources in the United States today. At Teaching Strategies we are dedicated to providing the most effective early education resources. Why? Because a child's first 6 years form a critical foundation for their future successes. And we believe that early childhood educators play an important role as children's door openers--in school and in life. Call Toll Free 1.800.637.3652, or go to www.teachingstrategies.com. Kaplan Early Learning Company, the premier resource for innovative learning materials and top-quality products to include professional development for early childhood programs, is a proud sponsor of the Washington State Association of Head Start, Early Head Start, and ECEAP! Click for a flyer! Casey Family Programs is the nation’s largest operating foundation entirely focused on foster care. Since 1966, we have worked to provide and improve—and ultimately prevent the need for—foster care in the United States. As advocates for change, we are committed to our 2020 Strategy – an ambitious yet attainable goal to safely reduce the number of children in foster care and improve the lives of those who remain in care. Washington Dental Service Foundation is the state's largest foundation dedicated to improving oral health, and works closely with Head Start and ECEAP programs. As community advocates for oral health, WDS Foundation is working to make certain that prevention and early treatment of oral disease-for all generations-are community priorities. Improving oral health will save money for everyone, help seniors live healthier, and enable children to do better in school increasing their chances for success. Check out their great Cavity Free Kids website. Created in 2006, Thrive by Five Washington is the state’s nonprofit public/private partnership for early learning. We mobilize the long-term statewide commitment to early learning, so that families and caregivers have the information and support they need to help their children succeed in school and thrive in life. 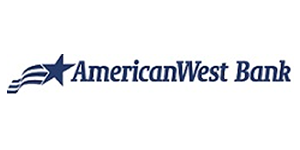 At AmericanWest Bank, we set the standard for service excellence in business-focused community banking through understanding our client's needs and goals, building lasting relationships and working as a team to deliver seamless solutions.